School libraries have long been the Cinderella of the education system: dusty, dismal and unappreciated (that is when they exist in a school at all). At least, this is often the perception of them. In the last few years, however, various national initiatives, including changes in the curriculum, have resulted in libraries in schools at last being recognised as a prime means of encouraging young people to read. 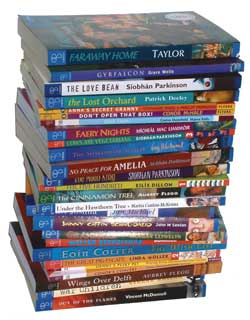 Unfortunately, for many schools and teachers no fairy godmother has arrived to transform unprepossessing library areas into vibrant centres for research and leisure reading, nor have empty shelves, or shelves laden with aged tomes, been magically filled with lively, attractive books which compel young readers to open them. This is unlikely to happen until provision for libraries, along with the proper resources (financial and expertise) to run them, is mandatory for all schools. In the meantime, there are good libraries in many schools – often set up and run against great odds – which offer examples of how libraries are central to developing language and research skills and fostering a love of reading in students of all ages. There are also excellent public libraries throughout the country, many of which offer helpful facilities to schools and can supplement the work of the school librarian or teacher. Interested? Then click here download Success In Your School Library for free!